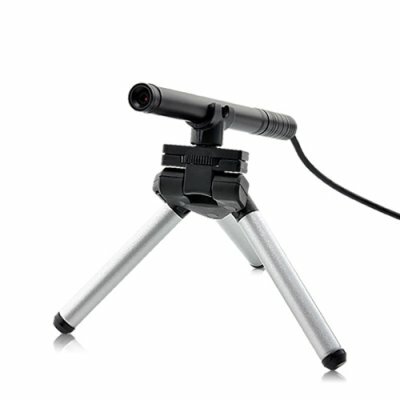 Successfully Added Multifunction USB Tube Camera (Endoscope + Microscope) to your Shopping Cart. USB digital pen camera with white LED light that serves as a multipurpose endoscope (visual inspection of body parts and cavities) as well as a powerful microscope that allows you to see things that the naked eye can't. Endoscope or Friendoscope? This remarkable device is USB plug and play for your computer or laptop. So easy to use, it runs with most still and video camera software or use the included software for medical still image or video recording. It comes with a 24 bit CMOS sensor for visual clarity of the highest sort. Imagine clearly seeing the inside of your ear on your PC monitor. Imagine looking up your nose. What else can you look up? Microscope or Cool Toy? This is the perfect geek gift or buy it for the Mr Fix It in your life. It's perfect for detecting microfissures or other important details too small to be detected by the eye. Or get one for work and spend hours looking at tiny things in a big way. Suggestion: Start by looking at your own fingerprints, then look at the fabric of your jeans, then move on the dollar bills...next thing you know, it's 5pm! Time to go home! This multifunction USB tube camera with endoscope and microscope functionality comes with an assortment of attachments so you can be the Magellan of body cavities...go ahead and explore. Brought to you by the leader in online direct from China wholesale and dropship electronics - Chinavasion. Perfect for doctors or dentists! Can this device be used for endoscopy?